What do Volunteers do in Albania? Who are Peace Corps Volunteers? Volunteers spend two years sharing their skills and knowledge, working and living side by side with their Albanian counterparts, in villages, towns and cities throughout the country. 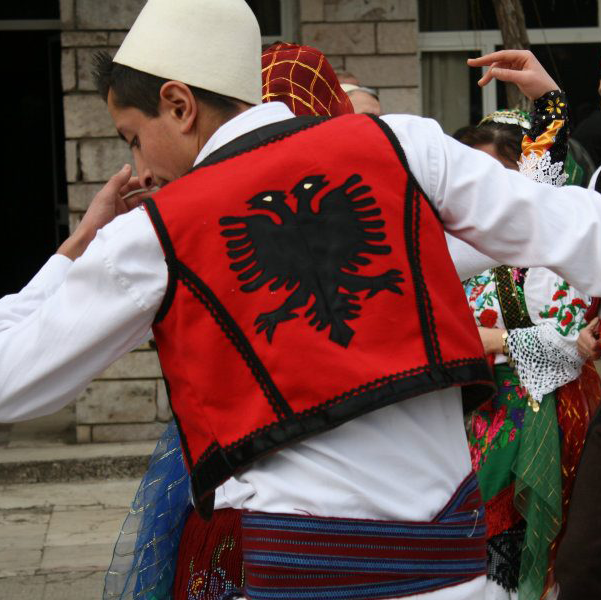 Peace Corps Volunteers also aim to build a better understanding between the people of the United States and the people of Albania through the cultural exchange that occurs by living in Albanian communities, and by the knowledge of Albanian culture, language, life, and history that they share with their fellow Americans once they return to the United States. If your school or organization is interested in working with a Peace Corps Volunteer, please feel free to contact us for more information. Besides working with schools, municipalities, health centers and NGOs, Volunteers are encouraged to get involved in other community activities. Volunteers in Albania organize afterschool clubs and summer camps for Albanian youth that promote English language, environmental awareness, gender equity, athletics, leadership and diplomacy. Volunteers often create the greatest impact when they join enthusiastic Albanian counterparts who are willing and open to try new ways of solving problems and are motivated for a unique work experience. Volunteers join the Peace Corps from every walk of life and represent the diversity of the United States. They can be any age, religion, or ethnicity and may come to the Peace Corps with vastly different skills and experience. They join for different reasons: to gain work experience, to share their skills, to learn about the world, and to make a positive difference in the world we live in. But they have one thing in common: a sincere desire to learn about their host countries. The Peace Corps is unique because Volunteers are not government employees and do not have diplomatic status. They learn Albanian language and are taught the technical skills they need to be successful at their assignments when they arrive. Typically, they can speak only basic Shqip at the start of their service, but many can speak, read, and write at advanced levels after two years of service. This is because Volunteers live and work at the local level. They are not paid a salary. The Peace Corps provides all of their living expenses. Organizations who accept a Volunteer are asked to assign a counterpart to provide guidance, supervision and support, as well as working space for the Volunteer. In 1991, the Albanian government invited the Peace Corps to establish a program in the country. The first group of volunteers arrived in 1992 to spend two years teaching English in secondary schools and universities. From 1993 to 1996, four additional groups of Volunteers arrived to teach English, support the development of small businesses, or support the management of agriculture and forests. Peace Corps suspended its Albania program in 1997 due to safety concerns. In April 2002, the Albanian government invited Peace Corps to re-establish its program. Since September 2003, over 400 Volunteers have come to work with local governments, NGOs, schools and health institutions in three project areas: Community and Organizational Development, Health Education and English Teaching.